Only one box in the photo, but there are 2 of similiar size. What do you think? Is it worth £40? The listing only states "Lego for sale". Its strange to see this question asked by you, from your posts I thought you have lots of experience buying bulk lego. You can easily judge the size of the box by identifiable parts, such as brown crate on top or the door further away. It is also easy to see the colours and shapes, and that some minifigs are there. Not so easy to tell the condition. The rest really depends on a particular buyer, if its worth *for you* that money - if you like/need those colours and shapes, and if the amount is sufficient. I usually try not to pay more than £10 per kilo of bulk lego, including postage. But even then it depends on what is in there and condition. I was being cheeky... It was a very good buy with 99% Lego. It contains 7 Jones sets. 2 Harry sets. (Both with figures.) Some Star Wars/City/Creator. The manuals where not photographed, but where included. But a quick look at the photo and you just dont know if it is good buy or not. You can see a Potter door, but otherwise no realy clues to what is in the boxes. The house thing is blue, not purple as in the photo. It just goes to show that you should never dismiss a cheap job lot, if there is no photo or the photos are bad. If you buy off Gumtree/carboots, the cost per kilo is between £1-4 including figures. I have not paid anywhere near £10 pr kilo for ages. No reward without risk... I bought a huge lot off FeeBay and it was 60% Megacrap. Ebay protectoin help me out on that one. No more used lots for me. You can still be lucky on Ebay, but I have stopped looking. No point as you only get harvested job lots. I know only buy from Gumtree or at carboots. That is absolutely not Lego at all. Ugh, that upside down picture made my head hurt lol. That's what I thought. And they had the nerve to e-mail me saying it definitely is. I replied asking for the box and instructions. Clearly just some chancers after a quick buck! 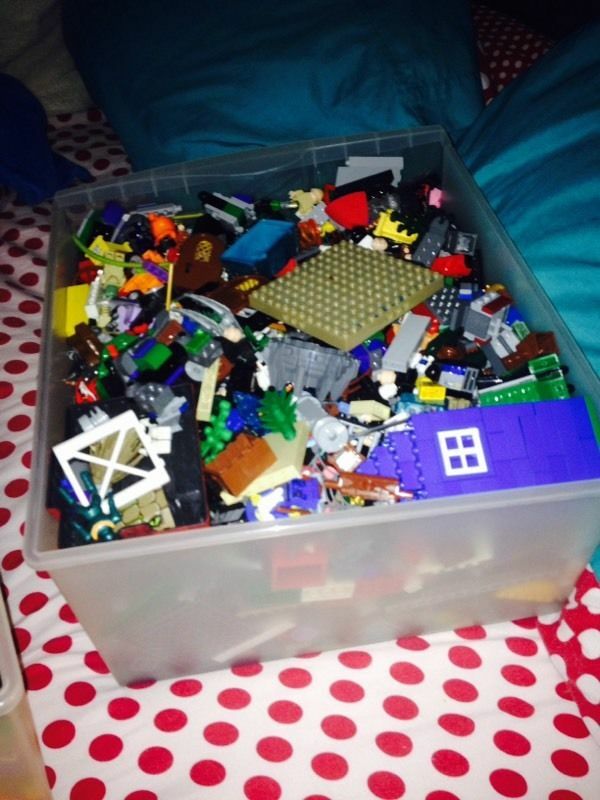 Wasn't there a similar non-brick Lego house that was posted somewhere on the forum recently? May or may not have been that one! @smillatt That is the Playmobil Grand Mansion, which retails for $180. Definitely worth $5! ^ and definitely worth £5! If you like playmobil that is. Let me know if you want it or not. So I could contact her. 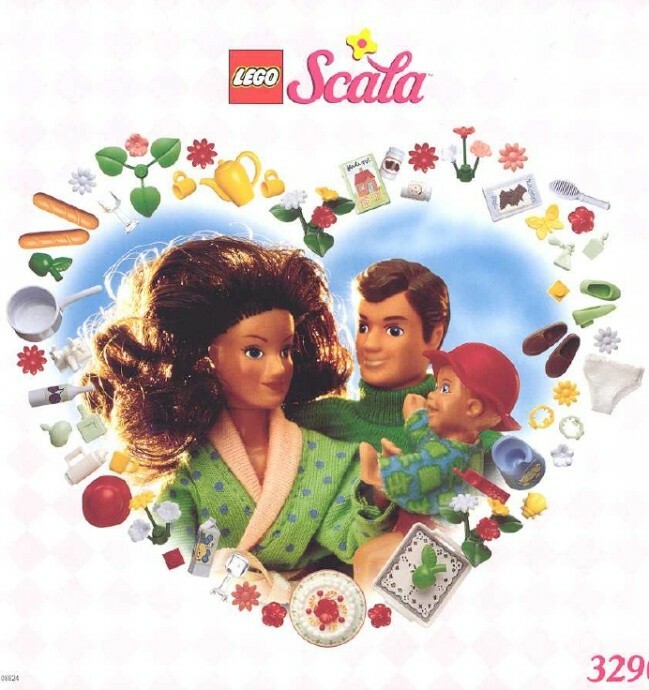 Ah yeah, think it was this Scala House I was thinking of. Will definitely be keeping an eye out for that Playmobil Mansion when I'm car booting though, and immediately flipping any I find to fund more Lego purchases!